The Hallet's Trail and Old Appalachee Trail begin at the parking area. While the trails are great for mountain biking they are shared with hikers as well so be careful. This is one difficult stream crossing with a steep downhill immediately followed by a steeper climb up. Plenty of intermediate to advanced technical challenges along these trails. You can ride these trails in the summertime but the mosquitoes and yellow flies can be ferocious. 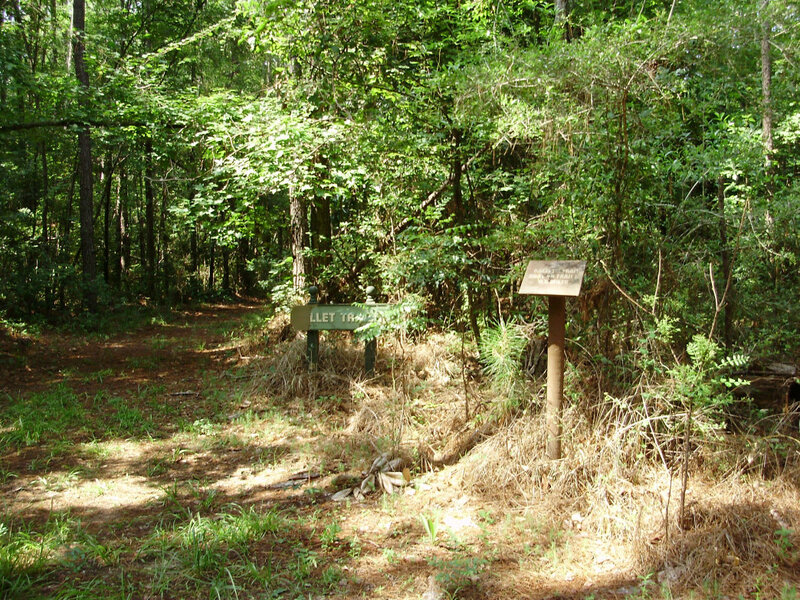 Blakeley Historic State Park boasts of its history from Native Americans settlements thousands of years ago to early European settlers to the Civil War, but Blakeley is also known for its beautiful upland pine and bottomland hard wood forest. Trademark giant magnolia trees can be seen along the banks of the Mobile-Tensaw Delta. Through this beautiful landscape you will find some exceptional mountain biking. The trails are winding paths over steep hills, swamps, streams, and springs. Sections are fairly wide and to interconnect some trails there's a little road riding, but most of the trails are narrow winding dirt paths strewn with roots, rocks, and boardwalks. When it comes to Blakeley Historic State Park most people think of its rich history. The Native American settlements thousands of years ago, European settlers, the Civil War all called this place home. But besides the history, Blakeley is also known as being a nature lover’s paradise with its pine and hardwood forest brimming with giant fragrant magnolia trees. 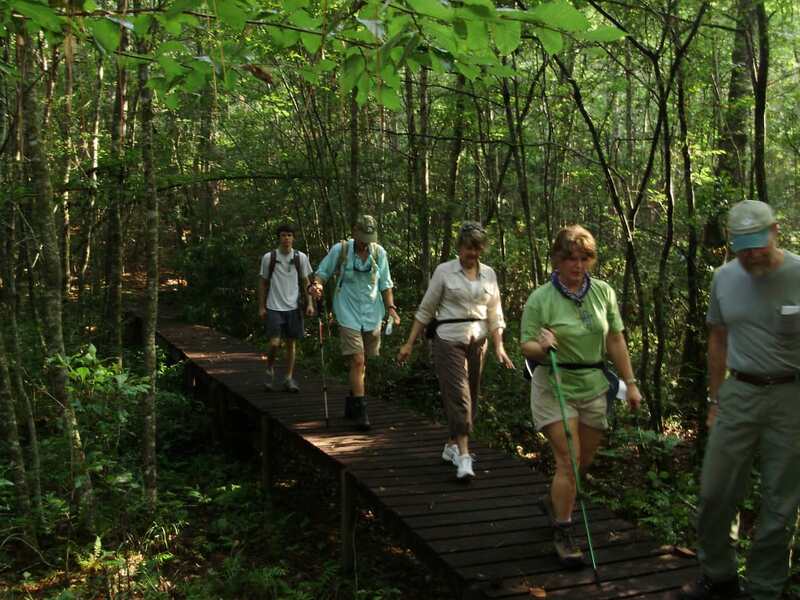 This forest along the banks of the Mobile-Tensaw Delta is the home of some great outdoor recreation including mountain biking over trails with names like Hallett and Old Appalachee and destinations with names that beckon investigation like the Squirrel’s Nest. The park sports over 12-miles of trail that are shared with hikers. Many of the trails are fairly wide grass paths but then you get into the heart of the forest where narrow dirt trails give way to some challenging riding. The trails snake around steep hillsides giving you some tight turns to navigate and a good workout. Between the hills there are swamps, bogs, and streams, many crossed by long boardwalks. All of the trails interconnect in one way or another, several by doing a little road riding. One trail, the Breastworks Trail, follows the best preserved Civil War breastworks in the South. As of this writing the trail north of the main park road is now ridable. To the south, however, the trail is on top of the breastworks and it is illegal to ride on it. 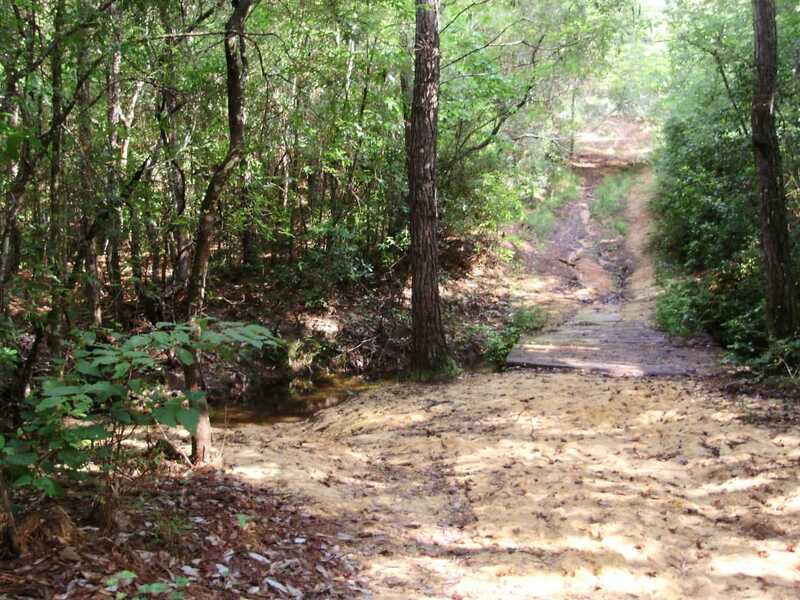 The park is working to move the trail off of them so hopefully by the time you read this you can enjoy some extra miles on the trails at Blakeley. Beginners may have a tough time on sections of these trails so you may want to scope them out before doing a full-on run but intermediate and advanced riders will have a blast getting some speed up on the flat sections then being challenged with some tight turns, steep hills, and watery obstacles. Even still you may want to scope out your route. Some of the boardwalks are under repair and some stairs down hillsides can come up on you out of nowhere. You will have several different trails to choose from, all are interconnected so that you can mix and match for varying lengths and difficulties. From Spanish Fort, Alabama, at the intersection of US 31 and AL 225 take AL 225 north 5-miles. The park entrance is on the left. In a few yards come to the pay station where you can pick up maps and brochures. Continue straight 0.2-miles. The main road turns to the right but you will continue straight to the west (a sign reading “Forever Wild Trail” shows the way.) Travel 0.5-miles and park in the dirt parking area on the left. The park is open from 8 a.m. – dusk. Sometimes it opens earlier but that’s hit and miss. Be sure to pick up a trail map at the park entrance. It’s not to scale but will still give you a good idea of the trails system. Written by Joe Cuhaj for RootsRated.